Thad is discovering how much fun it is to be a little helper. 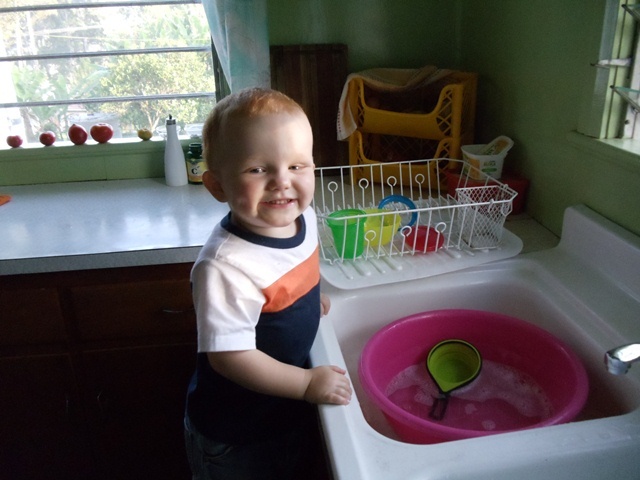 He loves to get the broom out and help me sweep. 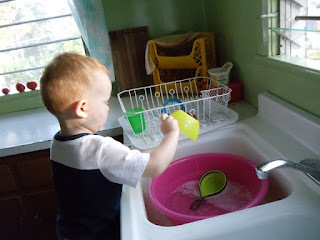 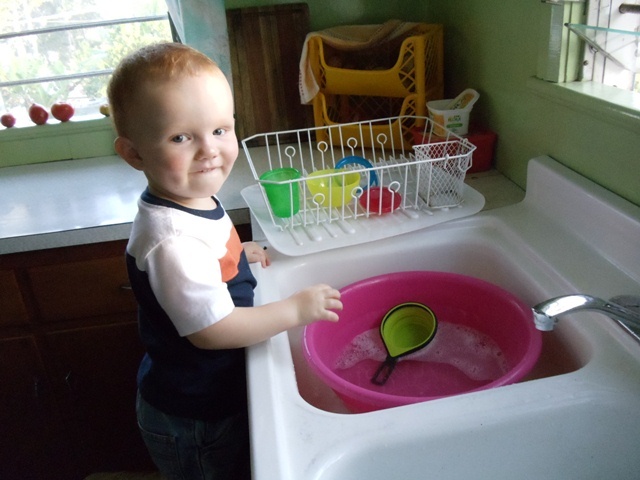 Last week I put some water and dish soap in the basin that we use for washing the dishes and he had some great fun "wash dishes" and putting them in the drying rack while I was working on supper.